Here we are again for our 3rd year escaping Michigan winter by residing in your wonderful model home in Costa Rica. We are so happy to be in Santiago Springs. The community is special. It is a rich blessing for us to be reconnecting time and again with your wonderful family and all the members of your church. Likewise, spending time with Bel and Xinia and so many others. God blesses us daily. Thank you so much for your hospitality. We really enjoyed your beautiful home in this beautiful setting. It is so peacefu here and I slept better than any night so far in Costa Rica. God is good. What a blessing this has been for us to be here at your lovely guest house. I have checked out many upscale model homes here in Costa Rica during my 6 years of residence and unequivocally, your model is simply the best. The design, layout and above all, the workmanship seen throughout is amazing. 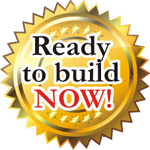 I have been involved in the mid to high end single family home construction in SW Florida for over 30 years and I will put your model with the best awarding models that I've seen. The open, flowing floor plan and the fantastic site orientation and window and door wall placement gives me the feeling of being in my favorite art gallery. Every room has these valley views to die for. The outside walk around areas and the great room covered lanai doesn't just allow you to see the natural treasures of the valley, but puts you front and center to really experience the beauty, peace and tranquillity of this tropical paradise. As a critical, detailed orientated person, I find this new model a joy to behold. In a country that isn't known for it's quality and workmanship in home construction, you have broken the status quo and raised the bar. Nathanael, you have a sure winner here. Pura Vida. As a US citizen I have purchased 'international' property in the past. It has generally been confusing at best and a confusing mistake at worst. However, my experiences With [Nat and Leland] have been completely, refreshingly different. They have striven to create a process of educating the potential buyer as the process of finding and purchasing property unfolds. Costa Rican real estate law is significantly different than the laws in the USA (and in many cases, most, really, better for investors such as myself). What has made the process a positive experience is [Nat and Leland's] integrity. This integrity was evident throughout the process, every step of the way, by a consistent supply of information regarding the selection and purchase of the property. Even after the sale, when many companies are difficult to contact, [Nat and Leland] promptly addressed any additional concerns I have had regarding my property (such as tax questions and Costa Rican occupancy laws, etc.). Not only would I recommend this company to friends interested in owning Costa Rican property....I have....and three of my neighbors here in Texas are also now my neighboring property owners in Costa Rica!